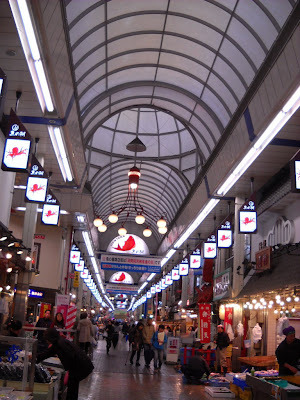 Today I will show you photos taken in the fish market of Akashi. It is a city in Hyogo Prefecture, west of Kobe. Akashi is famous for the planetarium there, standing on the meridian of 135 degrees east longitude. It is the place used to determine Japan standard time. And Akashi is also famous for Uontana - 魚の棚 "fish-shelf" - the fish market where local fishermen display plenty of seafood caught nearby. 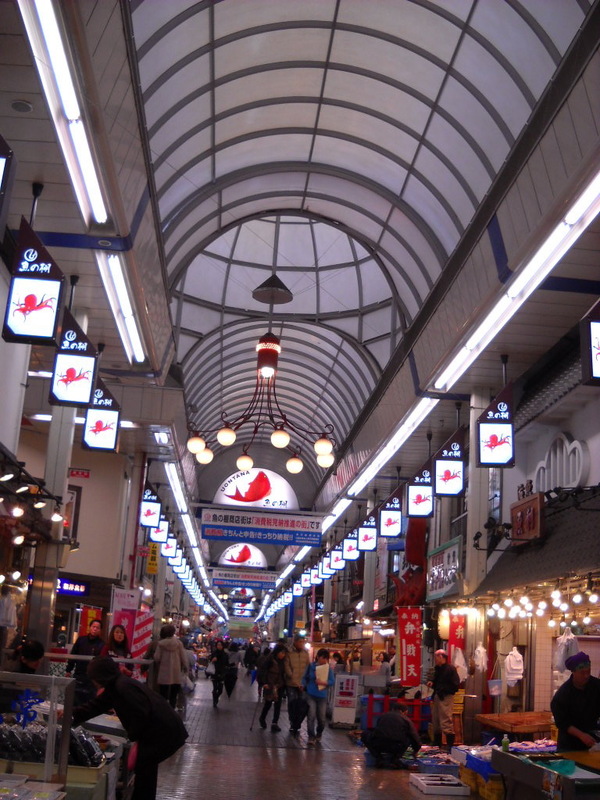 Akashi is well-known for Akashiyaki, ﻿a kind of takoyaki. 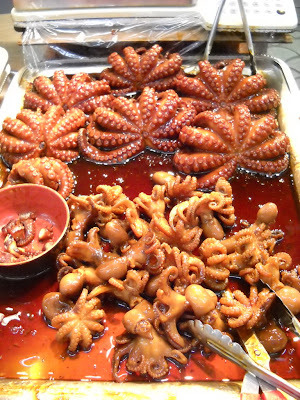 It is a dish with tako, octopus. Octopus can be found in various other ways. Apart from that, there are lots of species of fish for sale.